A slow internet connection costs time and gets on your nerves. 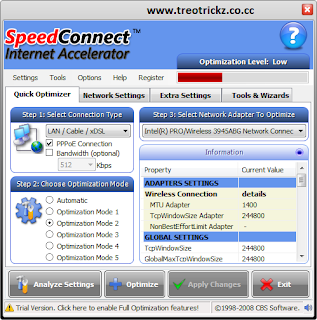 For this reason, taking the time to optimize the settings is almost considered a must – particularly since an optimization in terms of speed doesn’t come with any additional cost, neither for a hardware extension nor for the software, but some utilities can tweak and optimize internet settings for you. Ashampoo Internet Accelerator analyzes your computer and optimizes all the relevant settings with a single click. You don’t need to know anything, just select the automatic optimizer and you’re done. 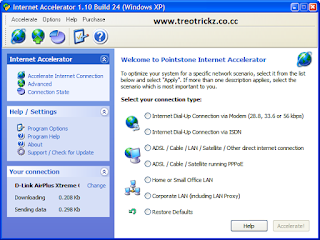 It also includes an Internet connection speed test tool so you can test your performance directly. 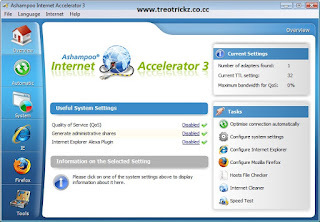 Internet Accelerator improves various configuration settings that directly affect your network and Internet connection speed. It offers limited number of features but for beginners these setting are enough to see aspeeding internet connection. .Enjoy this softwares and please do not forget to comment to keep us alive.